CACOTOPIA 03, a group exhibition of works by five recent art graduates working in multimedia, installation and performance. The artists featured in CACOTOPIA 03 are Daria Blum, Johanna Flato, Rui Lin, Marton Nemes and Aaron Scheer. Annka Kultys Gallery is pleased to present CACOTOPIA 03, a group exhibition of works by five recent art graduates working in multimedia, installation and performance. This third edition of the now annual show, which follows the format established by the gallery’s successful first and second CACOTOPIA exhibitions, will unfold over the course of five weeks, with a new artist featuring each week. The works on display will explore, amongst other themes, perspectives on trans-generational trauma, social interaction, algorithmic learning and digital painting. The artists featured in CACOTOPIA 03 are Daria Blum (Central Saint Martins), Johanna Flato (Royal College of Art), Rui Lin (Goldsmiths University of London), Marton Nemes (Chelsea College of Art) and Aaron Scheer (Gothenburg School of Design and Crafts). Martin Nemes will open the exhibition, presenting a number of newly developed, wall-based paintings and installations inspired by the architecture of night clubs, escapism and stage design. The paintings are realised within bulky, steel and wooden structures, hanging and interacting with and in the gallery space. 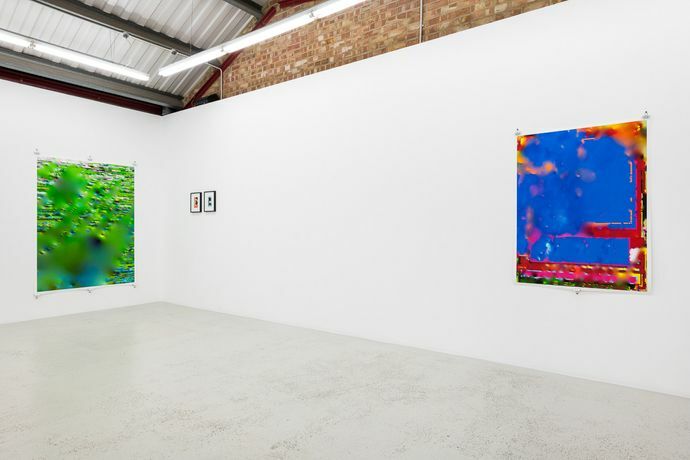 Bright, illusive colours and the use of fluorescent lighting throughout the works, reference mind altering experiences and distorted realities, creating paradoxical contrasts of materials, palettes and finishes. For the show’s second week, Rui Lin will produce a public presentation to showcase the progress and development of his EMFA (Executive Master of Fine Arts) project. Ongoing in nature, EMFA is a collaborative, research-based, pedagogical experiment, part non-profit project, part hyper-reality. The presentation will include a brochure and course curriculum for the EMFA, as well as live-stream into the gallery potential locations that could host the EMFA project in the Chinese city of Haikou, filmed on a steadicam by a local videographer. Daria Blum will present for the third instalment of CACOTOPIA 03, a series of live performances incorporating music and video, structured around songs the artist has written for her different personas. During her performances the artist will shift among her various characters, changing costumes and personalities accordingly. Blum’s work operates on the margins of public and private space, consolidating and contrasting dynamics such as audience and performer, humour and tragedy and truth and fabrication. Though consciously ironic, Blum’s performances consider the masochism of performance, exploring how performance operates in day-to-day interactions. Blum will be performing in the gallery from 4 – 6pm on Tuesday 18th, Wednesday 19th and Thursday 20th December 2018. Commencing in January 2019, Johanna Flato will exhibit a pair of works. The first is a series of audio-video works on custom-made mirrored screens, while the second comprises freestanding autocues with projected text. In the Recite Lipsum Corpus series, by the use of 3D scanning and modelling techniques, voice synthesis, natural language processing and machine learning, visitors will see themselves reflected onscreen over a glitchy, digitised masked default avatar, while through the accompanying headphones they will hear through the left ear a spliced and broken monologue by Flato on the ethics of pleasure and pain and through the right a computer generated male voice reciting Latin. Generate Lipsum Corpus features text live-generated by an algorithm programmed to describe pleasure and pain using language from a database of a hundred historical texts spanning genres as diverse as poetry, philosophy, the romance novel, and scientific papers. Through her show, Flato will develop themes around meaning-making and gibberish, embodiment and constraint, and the proclivity of the now to loop and glitch. 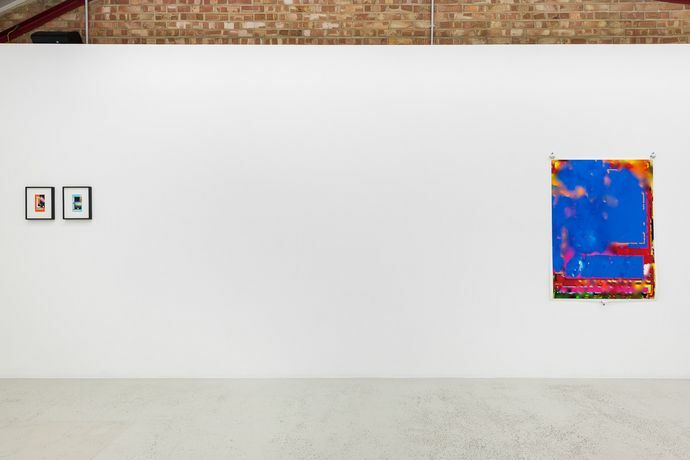 The final week of the exhibition sees Aaron Scheer exhibit a number of recent digital paintings. Created on a variety of digital devices, Scheer’s works utilise the digital realm to combine elements of collage, photography and painterly technique to expand what painting can be and mean today. 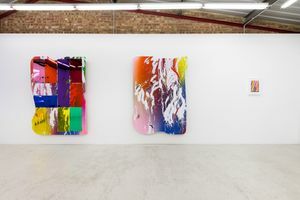 The artist’s process involves using free form digital gestures, keyboard commands and touchscreen swipes to develop his works, which once complete may be read as an abstracted version of contemporary digital activities, full of vibrant and vivid colour palettes, redolent with distortions, static and blips that contrast with subtle gradations of luminous colour saturations. 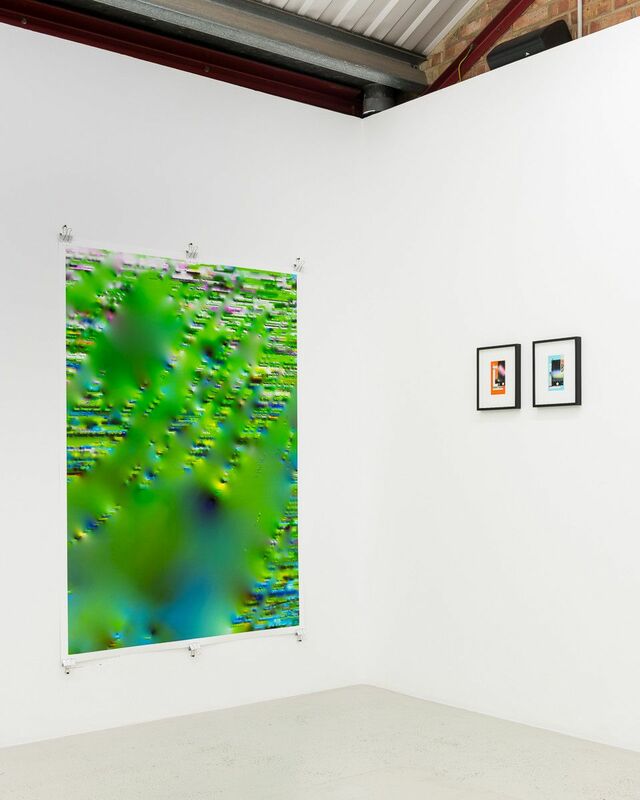 Through his art, Scheer questions the idea of the human in technology and the technological in the human, thereby allowing him to explore the challenges that an increasingly digitised world presents, such as virtual matter, perceptions of the real, automated production, big data, technocracy and contemporary working cults. In addition to receiving the opportunity to show at the gallery, each exhibiting artist will automatically be nominated for the Annka Kultys Award. The award recognises the artist that produces the most outstanding show for that year’s CACOTOPIA exhibition, as determined by the award’s jury. The jury traditionally comprises artists, art critics, curators and other art professionals and as CACOTOPIA 03 aims to showcase a broad range of competencies from within the visual arts, the jurors have similarly been selected for their varied backgrounds. For the Annka Kultys Award 2019, the jury will include John Brennan (collector), Kamila Naglik (Tate Collections) and Marek Wolinski (independent curator and writer). As part of its deliberations the jury will consider interest shown in the artist’s work, the number of gallery visitors a show attracts and the number of likes a show gets on Instagram, amongst other determining factors. The Annka Kultys Award includes a cash prize and a solo show for the winning artist. Marton Nemes (b. 1986, Székesfehérvár, Hungary) is a multimedia artist based in London, creating paintings, sculptures, installations and sounds. He received an M.F.A. from Chelsea College of Arts, London in 2018. Initially inspired by the architecture of Budapest, a city that he has spent the majority of his life residing in, Nemes’s practice is rooted in the colourful abstraction of buildings. Since this early work, and after moving to London, Nemes has been heavily influenced by techno subcultures, continuing to create abstracted colourful works whilst attempting to duplicate the atmosphere and experience of rave culture, creating a disintegration and rearrangement of the pictorial state. Made using a range of materials, Nemes’s artworks are eager to expand and bend, referencing the escapist counter cultures associated with rave scenes, creating multisensory, diverse experiences. 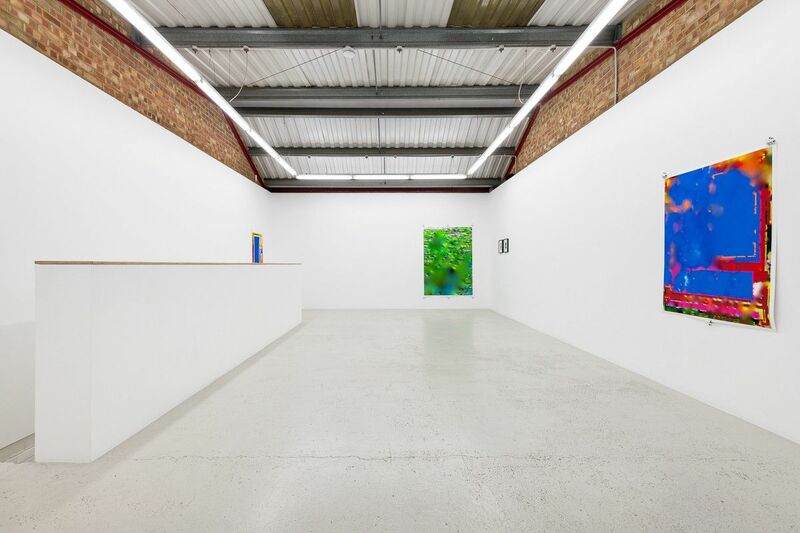 Marton Nemes will be on view from 5 - 8 December 2018. Rui Lin (b. 1991, Guangzhou, China) is a transdisciplinary artist, curator, and consultant, living and working in London and New York. He received a B.F.A. from Parsons the New School for Design, New York, New York, USA in 2015, and an M.F.A from Goldsmiths, University of London in 2018. Rui is the founder and director of SLEEPCENTER, a transnational independent non-profit agency for art and ideas that provides local communities and international audiences with a forum for cultural dialogue. His current practice and research focuses on pedagogical and commercially communicable applications of social infrastructure as a medium of contemporary art practice today. Rui Lin will be on view from 11-15th December 2018. Daria Blum (b. 1992, Lucerne, Switzerland) is a video, sound, and performance artist based in London. She received a B.F.A. from Central Saint Martins, London in 2017. Interested in ideas surrounding acquired and inherited trans-generational trauma, Blum embodies various alter-egos and personas through her works, influenced by her family’s history and inspired by conversations with her mother. Blum’s own personal relationships, exchanges and neuroses form the basis for much of her work, sharing them with her audience in the hope of making connections and working against isolation, seeing performance as (self-)therapy, and suffering and distress as driving forces in (re-)generation. Daria Blum’s performances will take place on Tuesday 18th, Wednesday 19th and Thursday 20th December 2018, from 4-6 pm. Johanna Flato (b. 1992, San Antonio, Texas, USA) is a digital artist based in London. Investigating the ways in which ideas of the 'site' are mediated, multiplied, and manipulated through language and technology. She received a B.A. in Studio Art and Humanities from Yale University, Connecticut, USA in 2014 and an M.A. in Contemporary Art Practice from the Royal College of Art, London in 2018. Flato creates research-based, iterative projects through which the tensions and thresholds of their interplay are made visible. Her work includes maps, text, voice and algorithms; variable outcomes span experimental, micro-organizations, essays, social media series, digital videos, sculptures, and installations. Johanna Flato will be on view from 9-12th January 2019. Aaron Scheer (b. 1990 Ahlen, Germany) is a digital and print artist based in Berlin, Germany and Gothenburg, Sweden. He received a B.Sc. from Münster University of Applied Sciences, Münster, Germany in 2015 and an M.Sc. from School of Design and Crafts, Gothenburg in 2018. 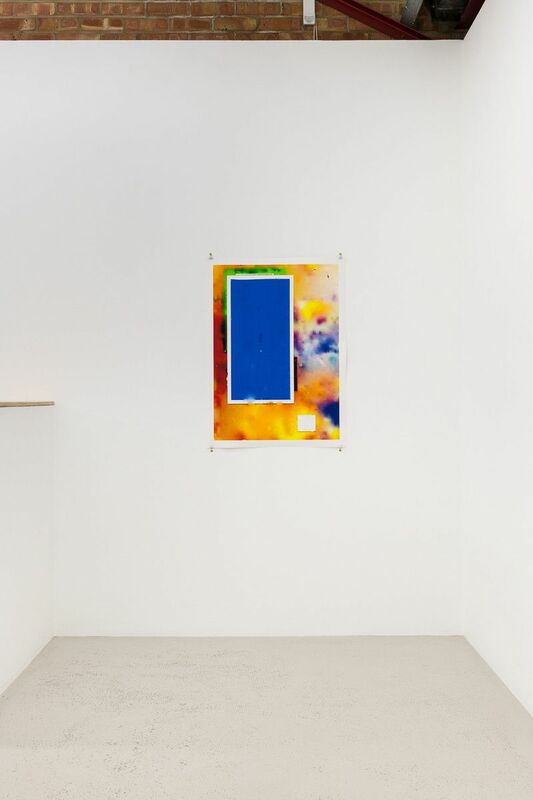 Scheer creates young, progressive art that exists between the poles of the analogue and the digital. He uses painting techniques to create digital works on his computer, mimicking the use of physical media through various brushes and paint effects. The central aim of his process is to find innovative ways to transfer the internet, data, documents, photos and digital information into a new form of painting. By doing so, the exploration of modern digital devices and their uses becomes his medium, all the while continuing to apply classical art techniques.